Get Your Mortgage Loan Originator License Online! Everything is online, including live instructor sessions. Looking to get your mortgage loan originator license online? You're in the right place! All courses are online. No classroom attendance required. Free EPUB/PDF course book is yours to keep. Get help with live instructor sessions. Fulfills 20 hours of pre-license education. Our NMLS-approved MLO licensing program is delivered online so you can take the course from anywhere. The online instructor-led course is delivered over a one or two week schedule (your choice). Your learning material and exams are all delivered through your web browser. At several points in the schedule, you will have the opportunity to connect with your instructor and other students taking the course via a live internet conference. This will give you the chance to ask questions, have topics explained in more detail, and get insights from industry professionals. Mortgage license courses are delivered over a week or two at regular calendar dates. See the schedule on the information page to pick the dates that are right for you. The OnlineEd system is compatible with all current major browsers and operating systems. 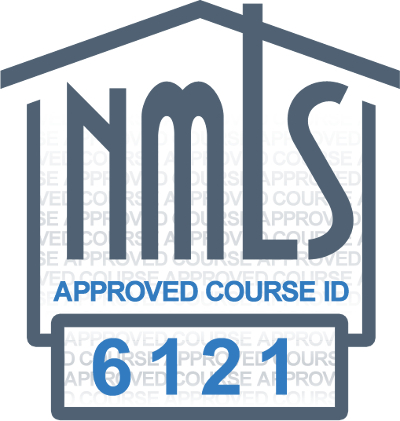 Our program has been rigerously reviewed and approved by the NMLS for pre-license education credit. Our program has been rigorously reviewed, approved, and authorized for pre-license credit by the Nationwide Mortgage Licensing System (NMLS). Our mortgage education courses at OnlineEd are written by OnlineEd. Because of this, we save on overhead licensing costs and can pass those savings on to you. Start with OnlineEd's MLO licensing package! Complete your Pre-License Eduction (this course). Apply for a license with the NMLS. Contact Prometric at 1-877-671-6657 or visit their website. Although you may already be working closely with your new employer, your NMLS record will need to be associated with your employer before you can receive a license and do business. Start with OnlineEd's NMLS pre-licensure package!